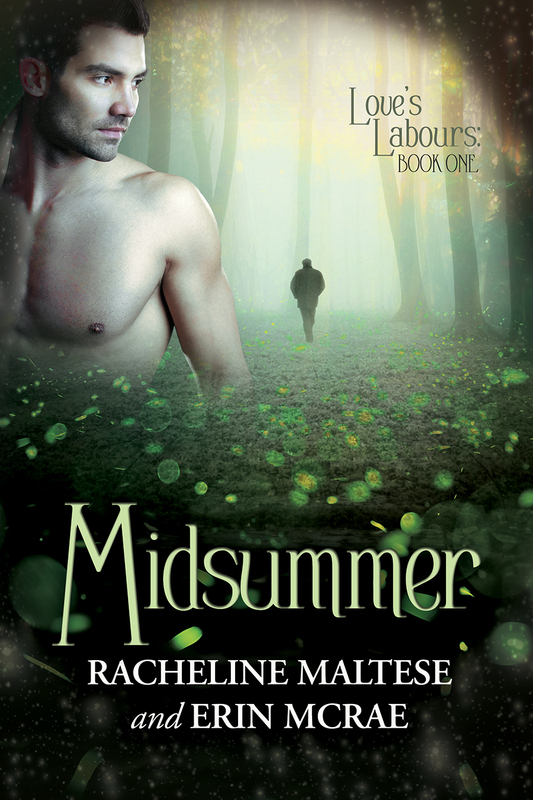 Midsummer is an M/M May/December gay-for-you summer romance, set at a summer stock production of deep in the Virginia woods. Racheline and I often write stories about how stuff works behind the scenes, so we’re particularly excited about this backstage story. Summer stock companies more or less like Theater in the Woods — the fictional theater troupe Midsummer – exist all over the U.S. And as in our other backstage stories, in Midsummer we’ve tried to hew the line between the dictates of drama and story, and how stuff really works, in the real world. To some extent summerstock really is, as various characters describe it in the book, theater camp for grownups. Productions are usually Equity shows that provide opportunities for emerging artists to earn a salary and recently turned professional artists to earn their Equity cards. Often, well-known actors will participate in summerstock productions at big-name theaters in order to improve their reputation as a serious actor or just get back on the stage. Their presence can be a big draw for these small theaters. Ultimately, a summerstock company consists of a few dozen people — the exact number depends on the size of the production and relevant support staff — semi-trapped together for a season, often in very close and, at times, unideal accommodations. They live in theater housing, eat together, work together and, when the rehearsal and set-building is over for the day, play together. This entry was posted in books, Love's Labours, Midsummer, Writing and tagged bisexual romance, gay lit, gay romance, love's labours, Midsummer. Bookmark the permalink.